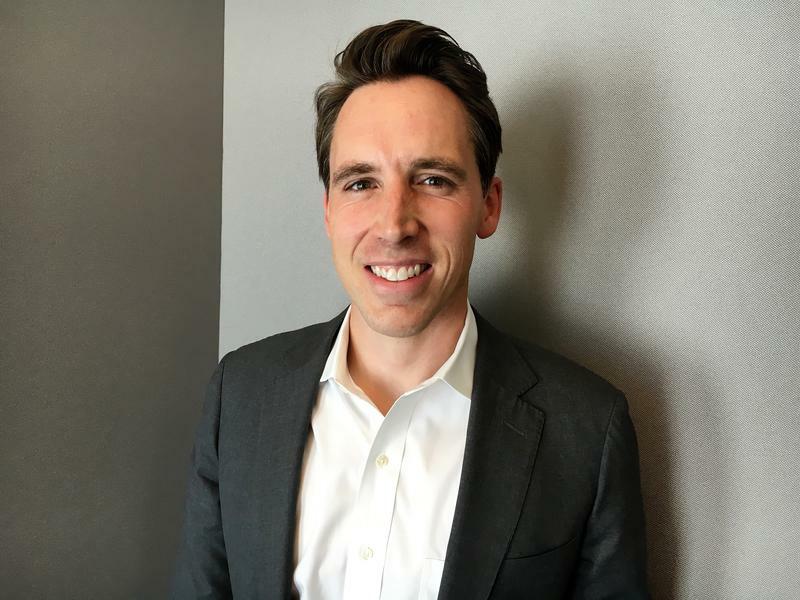 Hawley meshed his debate proposal with his longstanding jabs at McCaskill because her family owns a plane and a $2.7-million condominium in Washington. His campaign has set up a flat-bed trailer with two lecterns and a “Let’s Debate’’ sign, as part of Hawley’s call for a series of one-on-one debates with no moderator. 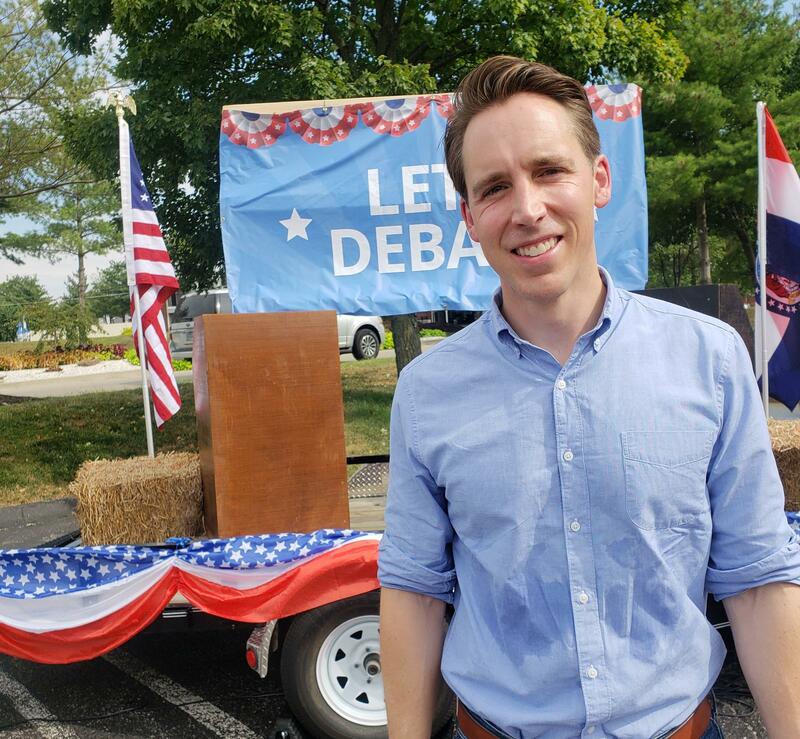 Hawley stands in front of his traveling debate trailer, parked Wednesday in St. Charles. “I’ll take it to any airport of Senator McCaskill’s choosing, and she can come right off the plane and onto the stage,’’ Hawley said Wednesday after an afternoon rally in St. Charles. McCaskill said Hawley’s proposal fit in with his detached view of how legislation affects people’s lives. “He’s most comfortable talking about the theory of the law,’’ she said, rather than its actually day-to-day impact. McCaskill is proposing four town-hall debates or forums, which she said is the best way for the public to communicate its interests. Hawley said events would not qualify as true debates. Both took note of Tuesday’s turnout numbers. Election officials handed out roughly 663,000 Republican ballots, compared to 605,000 Democratic ones. Hawley said the larger GOP number was a good sign of party enthusiasm and unity. “I think it’s a very good sign for Republicans and very worrisome for Democrats,’’ he said. 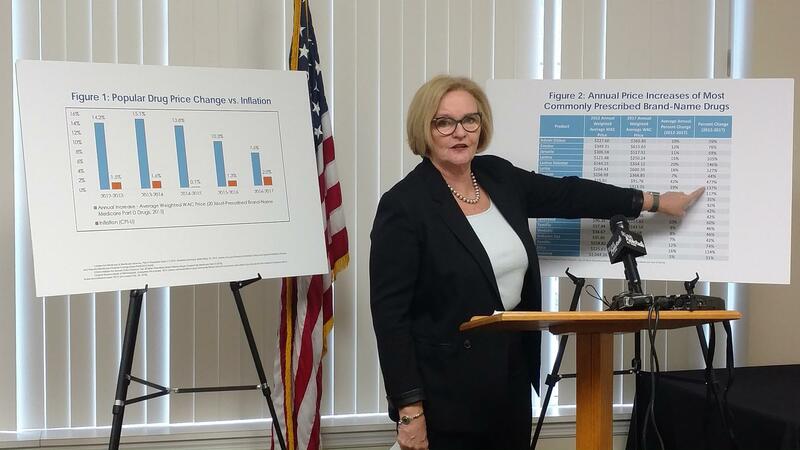 McCaskill blasts the high cost of prescription drugs at a recent stop in St. Louis at a senior center. McCaskill touted the Democratic numbers as evidence that her party was more whipped up. She noted that Tuesday’s Democratic turnout was twice the number of recent statewide primaries. “We’ve never come close to having 600,000 Democratic votes in primaries in Missouri over the last five cycles,” she said. McCaskill said she’s focusing on protecting workers’ rights, access to health care and the need to get rid of “dark money,’’ where the donors remain a secret. Hawley reaffirmed his belief that a top issue should be the pending Senate consideration of whether to confirm President Donald Trump’s Supreme Court nominee, Brett Kavanaugh. McCaskill said she plans to meet with Kavanaugh later this month; Hawley asserts that she’s in lockstep with Senate Minority Chuck Schumer, who is critical of the nominee. The president already has made several campaign stops to Missouri, and Hawley said he hopes Trump returns before November. If Missourians proved anything on Tuesday, it’s that they aren’t predictable when it comes to how they vote. Less than two years removed from endorsing President Donald Trump and a slate of GOP statewide aspirants, voters overwhelmingly repealed the party’s signature policy, right to work, from the law books. But instead of backing candidates that won the blessing of organized labor groups, St. Louis and St. Louis County voters decided to go in very different directions. 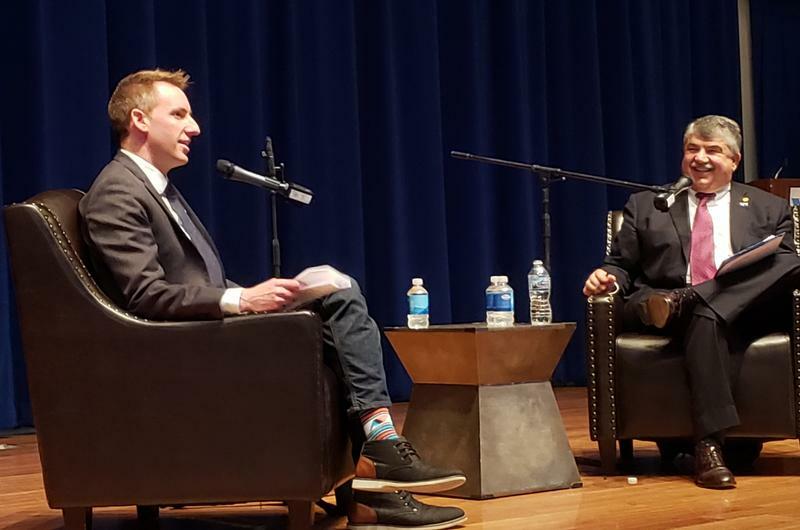 Missouri Attorney General Josh Hawley joins Politically Speaking to talk about the nationally watched contest for the state’s United States Senate seat. 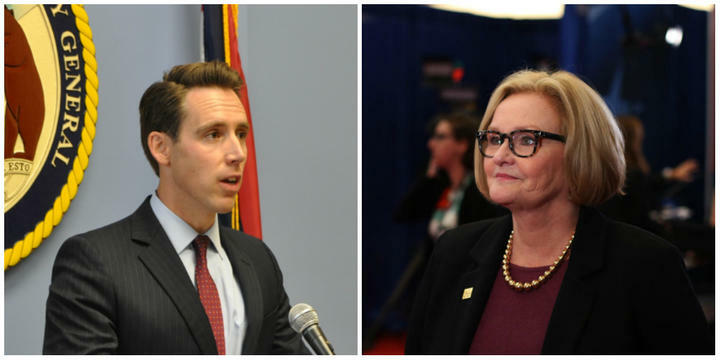 Hawley is the most well-known and well-funded Republican seeking to take on U.S. Sen. Claire McCaskill in the fall. He’s facing off against 10 GOP candidates in next month’s Aug. 7 primary, including two, Austin Petersen and Tony Monetti, that have been guests on Politically Speaking. Missouri Democrats appear to be banking their political future on linking the state’s fight over a “right to work’’ law, known as Proposition A, to the effort to re-elect Missouri’s last remaining Democrats holding statewide office. A referendum over Proposition A will be on the August ballot. The two Democrats facing re-election this year – U.S. Sen. Claire McCaskill and state Auditor Nicole Galloway – will go before voters in November.